FLORENCE, Ala. — University of North Alabama Cinematic Arts assistant professor Michael Curtis Johnson has been selected for the prestigious 2019 Berlinale Talents development program that takes place at the Berlin International Film Festival Feb. 9-14, 2019. He is one of 250 emerging international filmmakers from 77 countries selected from more than 3,400 applications. Berlinale Talents runs for six days during the festival, offering workshops, project labs, talks and screenings for its participants. The program is designed for filmmakers with experience rather than those at the beginning of their careers, and it provides a crucial opportunity for networking. Johnson’s first film “Hunky Dory” premiered at the Slamdance Film Festival in 2016, where it won a jury award. It went on to win top prizes at the Atlanta Film Festival, Nashville Film Festival, and American Film Festival in Wroclaw, Poland. His follow-up film “Savage Youth” was developed at the Venice Film Festival’s Biennale College Cinema Program. It premiered at the 2018 Slamdance Film Festival and will be released by motion picture distributor The Orchard this April. In a recent interview with the industry trade publication Variety, Berlinale Talents program manager Florian Weghorn said in the selection process, the Berlinale Talents looks for “resonance” and “relevance” in applications, taking into consideration the impact a filmmaker might have made in his or her local community, and how closely connected to their work they are. Johnson has been a faculty member in the UNA Department of Communications since January 2017. The Cinematic Arts program supports a rich diversity of creative and technical pursuits in digital film production. It features professional digital film equipment and facilities to train students in modern industry practices. The program boasts award-winning faculty with extensive industry experience who directly mentor the development of each student’s distinct creative voice. Its alumni have pursued careers throughout the country. 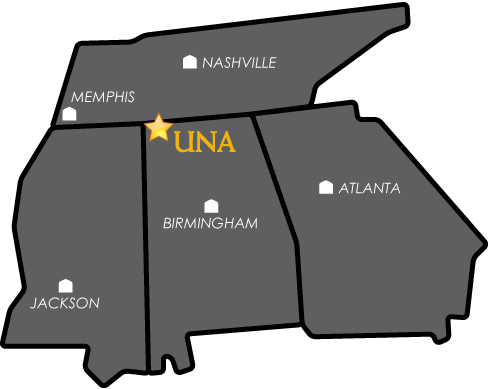 The UNA Department of Communications is housed in the College of Arts & Sciences and offers programs in Cinematic Arts, Communication Studies, Public Relations, and Journalism & Digital Media Production. More information about the department is available at https://www.una.edu/communications/.